Another medley of beverages, this time they are all red wines. We have drank these in the past month or so. I try and wait for the weekend to share a bottle, which is why we have the box of cabernet for a glass in the evenings. I can’t remember the prices, well, the Paul Autard was $14 at Ericksons and the Borsao was $10 at Porterhouse meats in Eagle, ID. We usually don’t spend more than $15 on bottles unless it is darn good and value things blah blah. 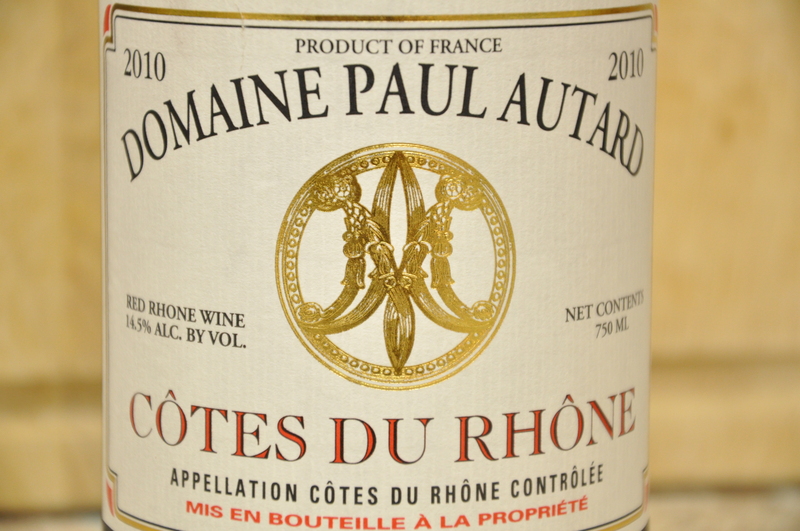 2010 Domaine Paul Autard Cotes Du Rhone. 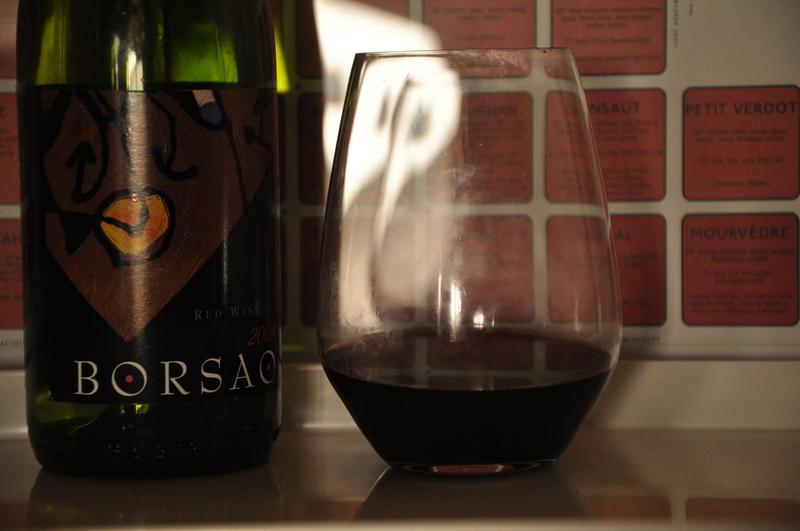 A blend of Grenache, Syrah, Mouvedre and Cinsault. This bottle we had some time ago, and we did no tasting notes, and the back of the bottle describes this as a full bodied fruity wine. Which I do remember it being. It also says it goes great with grilled meats, stews and roasts. Well I did make some pork chops and the hot chocolate cookies. We picked this up after tasting the Paul Autard Chateaunuef-du-Pape at Bueno Cheapo Vino. That was the rouge which is a Grenache, Syrah and Counoise blend. PS- when I can’t pronounce varietals, grapes, the wine- I seriously call it the name’s initial. Mouvedre? M word wine. I like it. 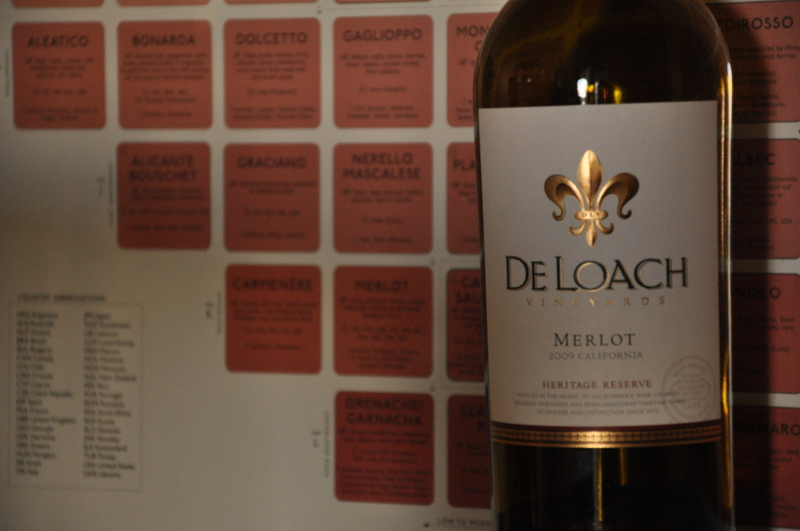 2009 De Loach Merlot- Heritage reserve. This, I don’t remember when we really had this, I the picture dates are all over the place. But from what I read and remember, this was an easy wine to drink. Smooth, a safe fruit flavor on the tongue. 75 Garnacha 25 Tempranillo blend. This was a ‘walk into meat store, see bottle, grab bottle, continue to shop’ bottle. I liked their Granacha, always a great price, it just all added up. A nice, dancey red wine. Definitely had the earthy, mineraly taste to it. I like their Granacha so I had a feeling this was going to be a tasty wine. So to conclude the post, wine. We drink it often. And I always love those bottles where while we drink it, all we say to each other is how good it is and how well it it pairing with whatever we are eating. I have 3 more bottles, with one of them a Cabernet Tempranillo blend to try and get an idea of, before we blend our own, coming up next. Also, with the warmer months, I realize I should not drink an oatmeal stout in the middle of July, which brings the inevitable question: what other than PBR do I drink? Amber ale, time to discover!